This Primer responds to the need for a succinct yet thorough introduction to TFP. It is written at a level for both beginning therapists and experienced psychodynamic therapists who want to tailor their work to the borderline patient. 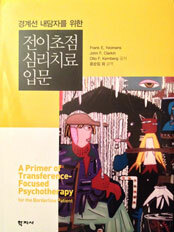 In the Primer, we have made every effort to explain Transference-Focused-Psychotherapy in a way that is "user-friendly" and practical for the practicing therapist. You can review the Table of Contents to get a sense of how the Primer is organized. 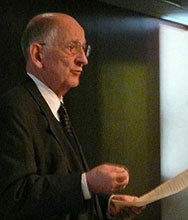 "Yeomans, Clarkin, and Kernberg's Primer stands out like a beacon to the rest of the psychodynamic community. In an era of empirically supported therapies, the work of the Cornell group has shown that it can be done, that it can be done superbly, and that it can be done without violating a single one of our cherished ideals as psychoanalytic clinicians. This is an excellent and immensely helpful introduction to the most successful program of intervention research on psychodynamic psychotherapy anywhere. It is a must have." "This new book is a treat to read!... Even though these patients can give you, the therapist, a tough time, with the use of TFP you can generally get good results. This treatment is now spelled-out in this book so that it really can be learned well... The narratives in this book are told with great intensity and story telling skill, so the reader, is drawn into reading just to see how the treatment fared. This is the book to read to enlarge our ability to treat borderline patients!" "This work emerges from years of research and in-depth clinical experience with borderline patients, and is richly informed by object relations theory. It is the best example yet of a manual for psychodynamic psychotherapy. In providing a clear, organizing framework for how to work with borderline (as well as other) patients, this book makes explicit the basic principles of dynamic treatments. It will strike therapists as reflecting how they think and work more than any other volume that has attempted to systematize psychodynamic treatment. 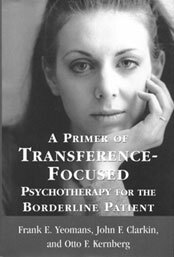 It provides a wonderfully clear discussion of the mental organization of borderline patients, a concise description of the nature of transference-focused psychotherapy, and an overview of the likely course of treatment with such patients. It ... offers treatment strategies and specific techniques... This book is a valuable guide even to experienced clinicians, and will be a real help to therapists and their patients." "In this remarkable volume, Yeomans, Clarkin and Kernberg have accomplished the impossible by combining a highly sophisticated theory of psychopathology and technique with a practical handbook for the treatment of borderline patients... The clinician will... find a detailed step-by-step guide to the complex process of turning the emotionally intense and often chaotic interactions generated by these patients into useful psychotherapeutic dialogue. While this book presents itself as A Primer..., it has much to offer psychodynamic psychotherapists at all levels of experience in their treatment of patients at all levels of personality organization."